Do you want to buy a race horse? Here it is, the advertisement that I fell in love with, via OTTB Connect on Facebook. He was at Indiana Grand Racetrack & Casino in Shelbyville, IN - I drove down to the back side of the track the very next day, alone. My husband, kids, friends and parents didn't even know. His pure SIZE!!!!! at 17.1 hands and race fit shape he was incredible and I had to have him. 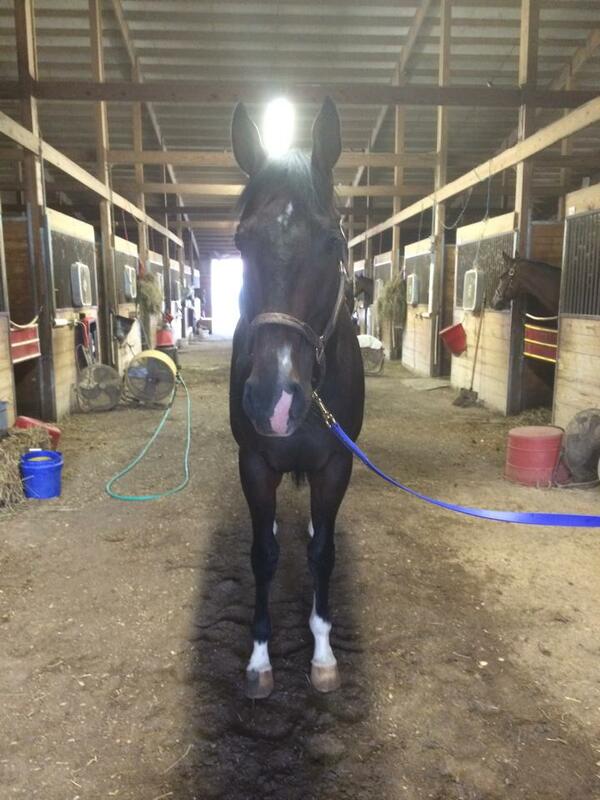 Rocky arrived 2 days later at New Beginning's Stables in Columbia City, IN.